This is the third in a series of posts celebrating Distributed Proofreaders’ 15th Anniversary. 11000 The Northern Nut Growers Association Thirty-fourth Annual Report (1943) was the 11,000th title that Distributed Proofreaders posted to Project Gutenberg, on September 12, 2007. This was part of what we at DP call an “uberproject” — a large-scale multi-volume project, in this case a series of annual reports of the non-profit Northern Nut Growers Association from 1911 to 1963. 12000 DP’s 12,000th title — one of three milestones reached in 2008 — was Zur Psychopathologie des Alltagslebens (The Psychopathology of Everyday Life), by Sigmund Freud (1904, German), posted on January 26, 2008. 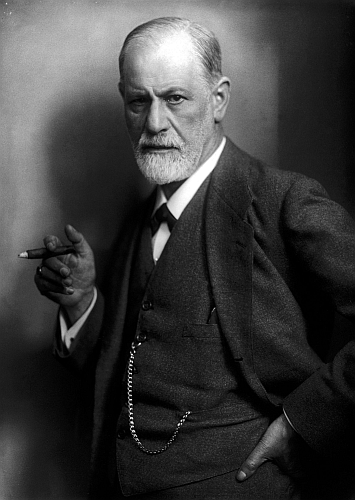 This classic work by the father of psychoanalysis is a study of the so-called “Freudian slip” — a mistake that theoretically has a deeper psychological meaning. 13000 The 13,000th title, posted on June 24, 2008, was A World of Girls (1891), by the Irish author L.T. Meade. Meade was a prolific writer of moral tales, romances, and adventure stories, as well as scientific articles. A World of Girls was her first school story, and an early example of the genre. 14000 On December 1, 2008, DP posted its 14,000th title, The Art of Stage Dancing, by Ned Wayburn (1925). Wayburn was a successful Broadway dance “director” (he didn’t like the term “choreographer”) of the early 20th Century. This book shares his method of teaching different styles of dancing and his experiences. You can find a “Hot off the Press” review of it here. 15000 The 15,000th title, halfway to our present milestone, was Philosophical Transactions of the Royal Society (vol. I, 1665-1666), edited by Henry Oldenburg. It was posted on May 12, 2009. The subtitle says it all: “Giving Some Accompt of the Present Undertakings, Studies, and Labours of the Ingenious in Many Considerable Parts of the World.” This is the first issue of the journal of The Royal Society, the oldest scientific society still in existence. Philosophical Transactions is still being published today, and is celebrating its 350th anniversary this year. Next: The celebration continues with milestones 16000 to 20000. These 15th Anniversary posts were contributed by WebRover, a DP volunteer. This entry was posted on Sunday, October 11th, 2015 at 12:01 am and is filed under Project Gutenberg, Special Day. You can follow any responses to this entry through the RSS 2.0 feed. You can leave a response, or trackback from your own site. I’d forgotten about some of these. Thank you so much for summarises them here. Rereading the “Northern Nut Growers” title, I see I missed an opportunity to recognize the Distributed Proofreaders Squirrels, as the folks behind the scenes who keep our servers and software up and running. Surely we made our 15,000 contribution about nuts in honor of our squirrels.